Not so long ago, the Harry Potter series of novels had a generation of children running around, waving magic wands and attempting to do complicated spells. Back in 1950, another literary sensation had children playing in their closet, attempting to find a hidden doorway that led to a magical kingdom. The Lion, the Witch and the Wardrobe by C.S. Lewis told the story of a group of children who stumbled into a closet in an old country home, only to find that it led to the magical kingdom of Narnia, and smart parents whose children were fans of the book probably told their children to go and look for the secret doorway to the fictional realm, but also to give the closet a clean while they’re on their “journey”. Our closets generally don’t lead to another world, although they can sometimes feel like time machines when we see all those old clothes we used to wear. When a closet becomes too small, or if we simply feel like a change, some of us with DIY skills might be tempted to build a new one from scratch. But is a closet something that should always be bought from a store? 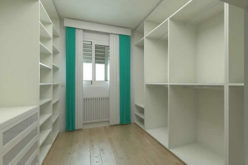 Depending on the layout of a room, building a closet designed specifically for the space can be a great idea, since the closets on offer in stores might be off by a couple of inches, leaving an annoying gap that can quickly become filled with dust. Even worse- a premade closet can be too big, meaning you’re not able to fully utilize the space of the room. 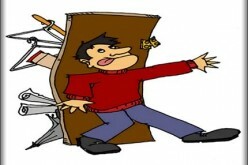 In these more environmentally conscious times, constructing a closet from recycled timbers is a great choice. You can find lovely old pieces of wood from building wholesalers, often in more or less the right shape, meaning that you’ll need to do minimal cutting. You might even have old wood lying around from another home renovation project, but be careful that you have enough wood to complete the project- you don’t want to end up with a door that doesn’t match the rest of the closet. A great way to breath life into an old closet is with a can of paint. 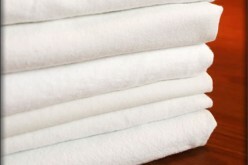 This is a great DIY project than even the most inexperienced home handyman or handywoman can do. Like with any kind of furniture restoration, remember that you need to sand the old paint off before you give the closet a fresh color. 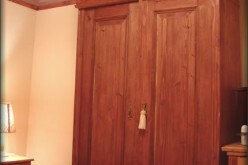 Painting an old closet also ensures that the closet will continue to complement the rest of the rooms’ décor. 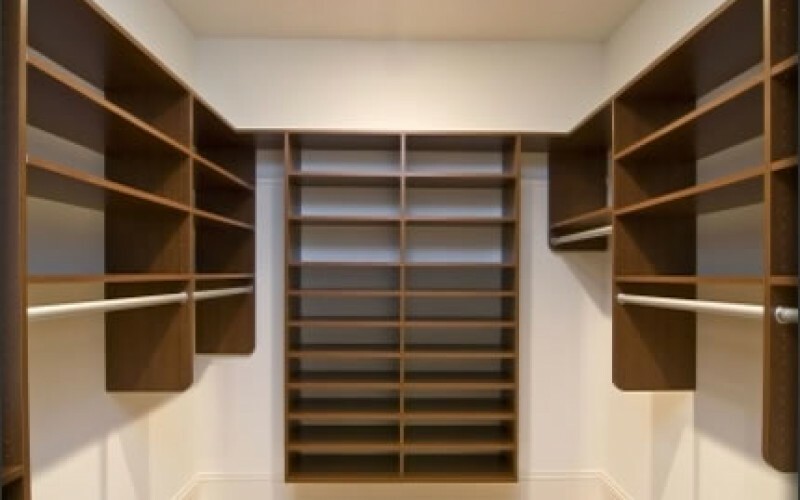 Closets aren’t something that we need to replace very often, and so before you start building one, it’s wise to have a look at the vast range of closets available, and there are many styles on offer as ready to assemble furniture, making assembly and installation a breeze. You could also think outside the box and ask yourself if you need an actual closet at all. 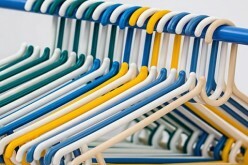 A free hanging rack can hang shirts and coats, and a set of shelves can take care of the rest. 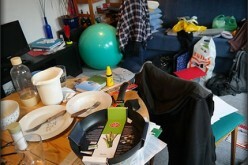 This look isn’t for everyone, since you’ll need to always keep things tidy. You can’t just close the door on any mess, so this probably isn’t a good idea when it comes to children’s and teens bedrooms. It also lacks the elegance of a nice closet, and there’s simply no way that anyone will believe a rack of clothes is a gateway to a magical kingdom. This is an article by Lizzie Wale, a freelance writer and part-time blogger. In daytime she also writes for Higher Click and Macy’s. She loves working on DIY projects and especially interested in design.